Take advantage of this generous discount offer across the entire range of McArthur Natural Products in our online store by entering the coupon code 20%OFF at the final stage of the checkout to receive 20% OFF your order. For a limited time only, while stocks last. 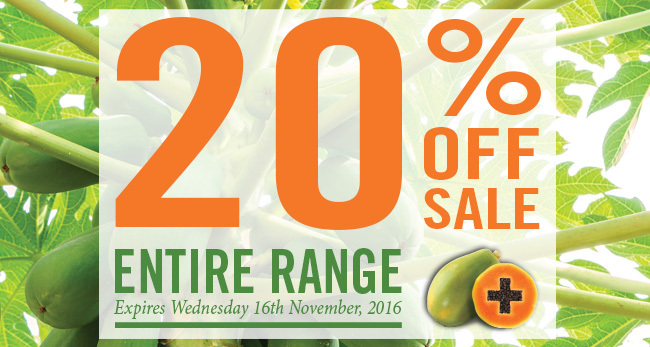 Offer expires midnight WST Wednesday 16th November, 2016. Not available in conjunction with any other offer.